We have added great new improvements to the HSEQ management system that would be helpfull in the daily operations. 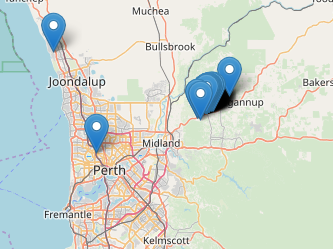 We have added Map View which allows the administrators to pinpoint location of their reports. Reports are displayed on a map under the Management section of the website and this allows the administrator to view location of the reports in detail. Zoom in on the map for more detail. When an image is uploaded on location when a new report is created, the GPS coordinates will be captured to show the exact location of the report. By using the map icon next to the image you can view the location on a smaller map below the image. This will allow you to pinpoint the location of the report information. Map view will provide further detail on the geographical extent of reports being created and can certainly provide statistics on "hot spots" as data is captured allowing users to take action as required. This is also great for locating a punch list item that may be outstanding.